[Big Brother] and the American woman. It works through the spaces in communications between her and her husband. Corruption crosses international borders and threatens sovereign nations. It feeds on trafficking and abduction, murder and loyalty. After all the blather about the drought, now comes rain, rain, rain--drizzly--or mist--or downpour--or brief sunshine. Pink petals are stuck to the choice miniature conifers planted beneath the diminutive Purple Pony flowering plum trees I can gaze at from my favorite chair. Heavy raindrops like crystal eardrops weigh down the emerging red leaves. One squirt from vanilla scented purfume atomizer from the gift shop at the botanical gardens in Hainan transports me to the luscious jungle paradise where I spent a glorious couple of weeks last November, swimming azure blue water, walking barefoot on coral sand in the moonlight. This past week, Chinese people visited their hometowns to sweep the tombs of their ancestors, an ancient practice reinstated by the government in 2008 after being banned since 1949. The holiday is 104 days after the winter solstice. Besides trimming bushes and cleaning up, families burn joss paper money, spirit or ghost money. Beijing Breakfast Letter blog post April 3, 2011.
from the Tang Dynasty around 800AD. In February 2014, George Haas, my friend and former editor of the Golden State Bonsai Federation magazine Golden Statements, toured in Japan with Bill Valavanis and Kora Dalager. You can read the blog posts here. I especially liked this picture of trees prepared for the 88th Kokufu Ten Bonsai Exhibition in Tokyo at the home and garden of Master Bonsai Artist Masahiko Kimura (aka The Magician), located in Saitama Prefecture, Japan. New articles on Chinese bonsai, Penjing, are coming in Golden Statements. Last post I mistakenly put up an image for Stephen WU. Here is his picture. Sorry, duibuqi! The paper books are now up on Amazon.com. Super fans Helen Cartwright, Rea Lucia and Barbara Marden have already bought their party tickets and got their free books. The party is April 30 at Cafe Maddalena. Please RSVP if you want to come! Here's Linda Price in her home office. She has been my right hand woman, providing graphics expertise for my book project. Linda designed the gorgeous cover. 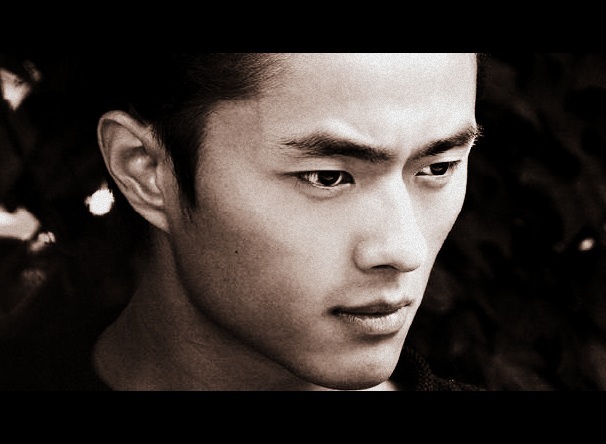 In Chapter 1, the story continues as Commander GAO questions the new man about his motives. It is August 30, 2011. What follows is an exerpt from page 30. Lt. Col. GUAN Qinchen, Deputy Regiment Commander from Harbin, dressed in the same brown trousers, camouflage tee shirt, and Harbin Institute windbreaker every day, turns his head to address him. “What happens then?” the Commander wants to know. I love the frame on my plein air painting of the harbor at Qingdao.